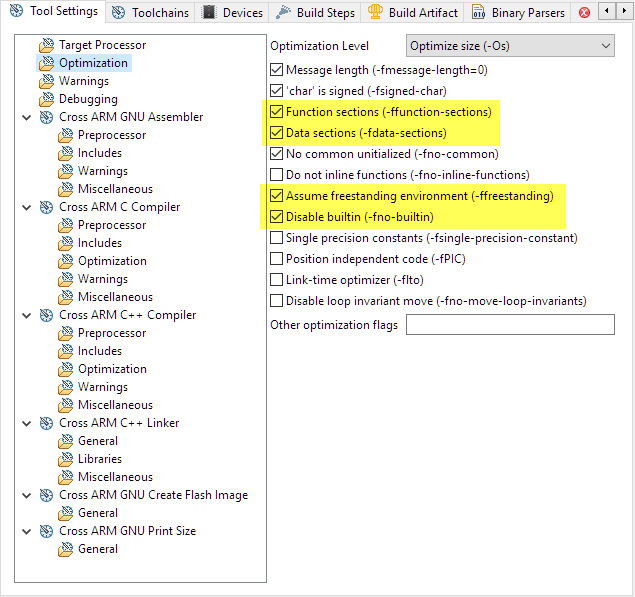 Instead spending lots of money with commercial IDEs, it is possible to build FreeRTOS applications for the ARM Cortex-M4 on the NXP i.MX with free, open source tools. 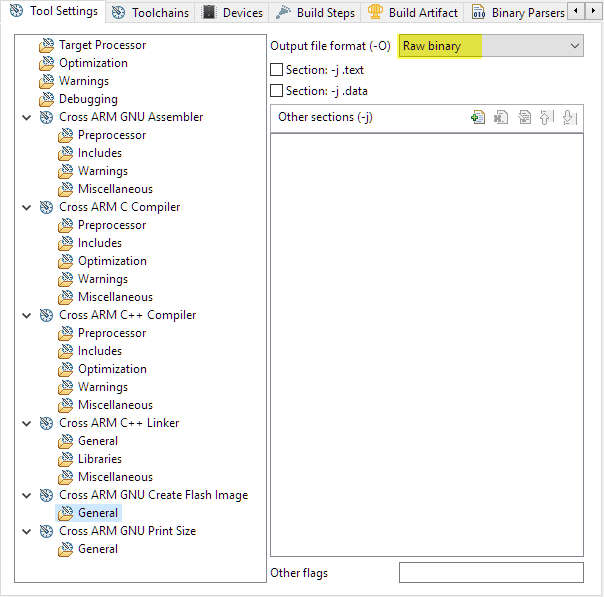 In my earlier article (see Tutorial: Running FreeRTOS on NXP i.MX7Dual Cortex-M4F) I used cmake, cygwin, and the ARM Launchpad GNU toolchain to build a demo application. That’s fine, but to be really productive, an IDE like Eclipse is preferred. NXP and Toradex offer some examples for IAR Embedded Workbench and ARM DS-5. 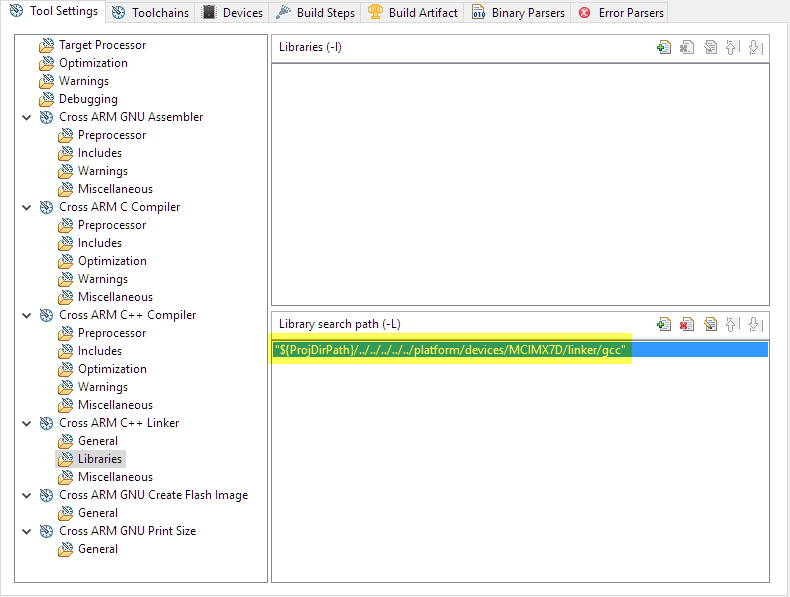 The IAR IDE and toolchain is proprietary (not Eclipse) and expensive (there is a free 32k Byte version). On the other side, the ARM DS-5 is Eclipse-based, but also very expensive. NXP offers the unlimited and free-of-charge Eclipse-based Kinetis Design Studio (KDS), but for unknown reasons NXP does not provide any example projects with it for the i.MX parts. So, you either have to spend a lot of money or to use command line tools. Time to change this. In this tutorial, I'm using KDS V3.2.0, which uses the GNU ARM Eclipse plugins and the GCC ARM Embedded (launchpad) tools. 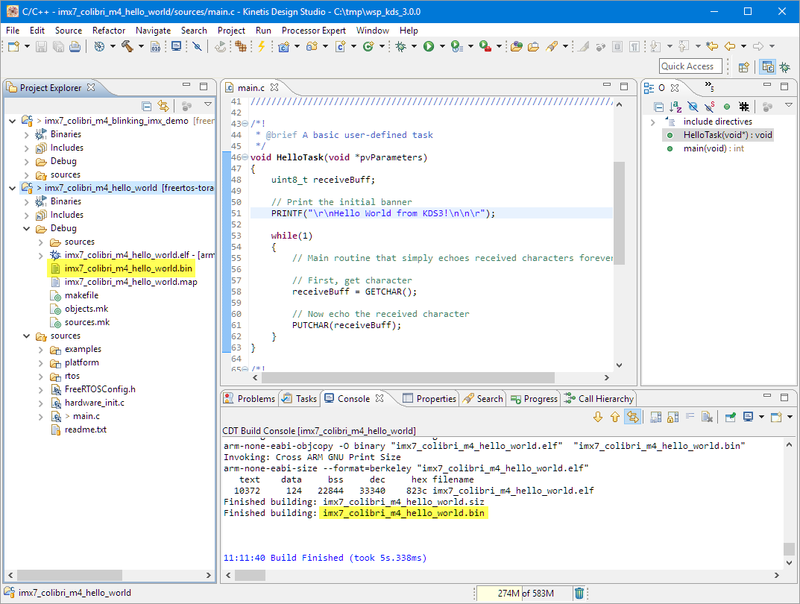 The cool thing is, because KDS is using standard components, I can build such an IDE with the toolchain and plugins myself (see “Going to Mars: Building a DIY Eclipse IDE for ARM Embedded Microcontrollers“). 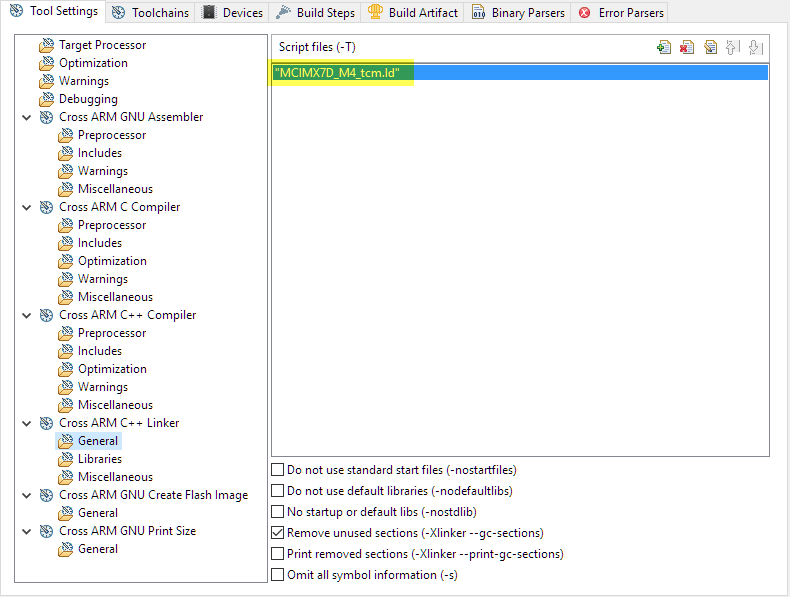 I’m showing the required project settings in the next steps for the ‘hello world’ project. This project (and others) can be found on my GitHub site. 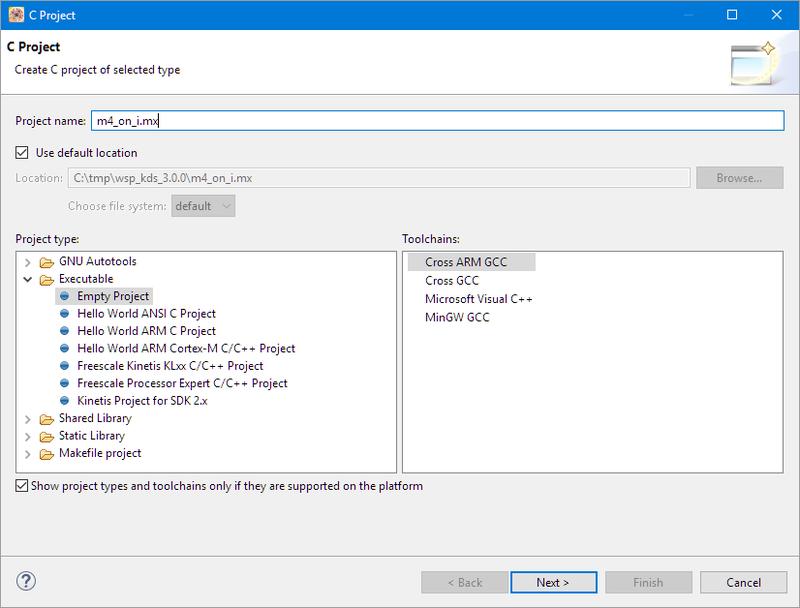 Eclipse based IDE (e.g. 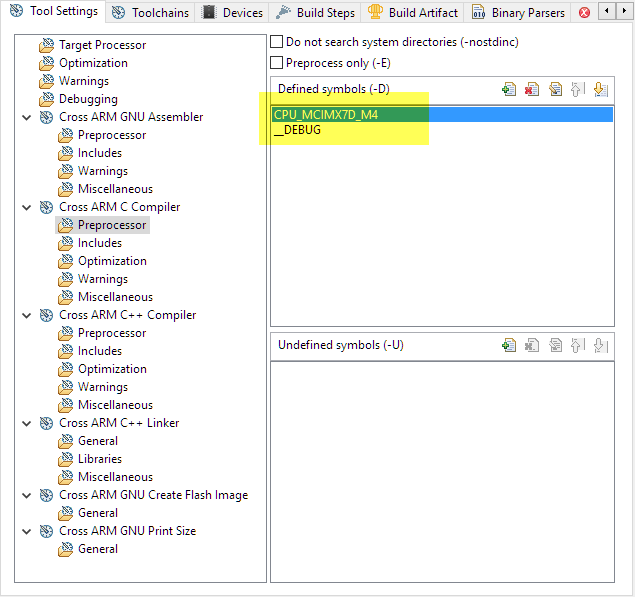 Kinetis Design Studio V3.2.0) for ARM Development. 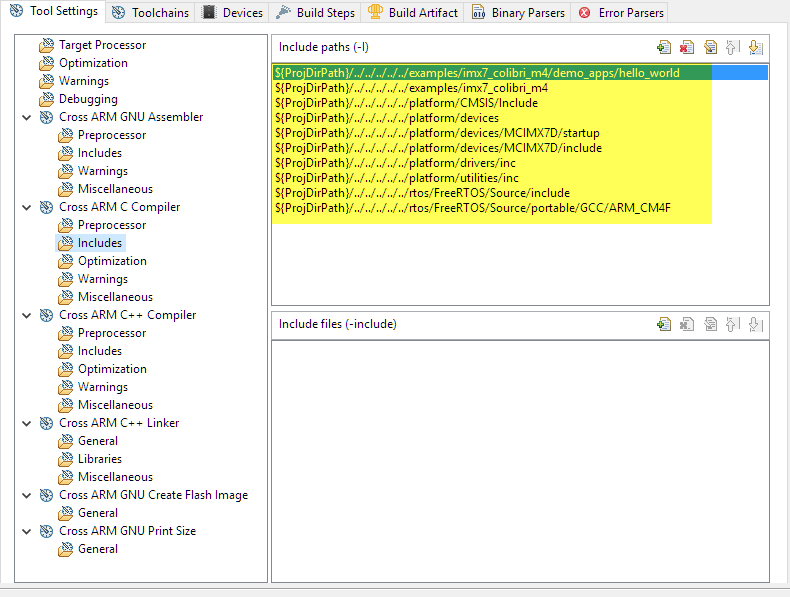 GCC ARM Embedded Toolchain (launchpad) toolchain (included in KDS). GNU ARM Eclipse plugins (included in KDS). 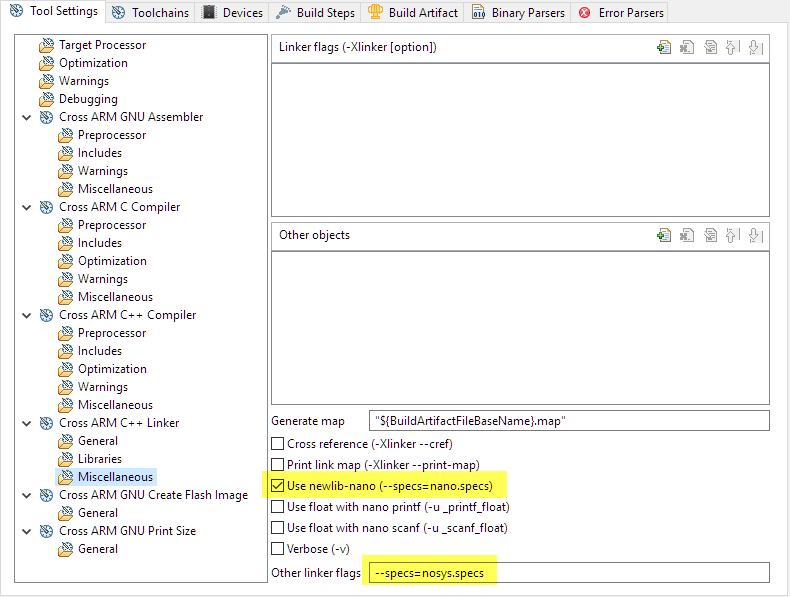 BSP with FreeRTOS for i.MX (e.g. from Toradex or from my GitHub). 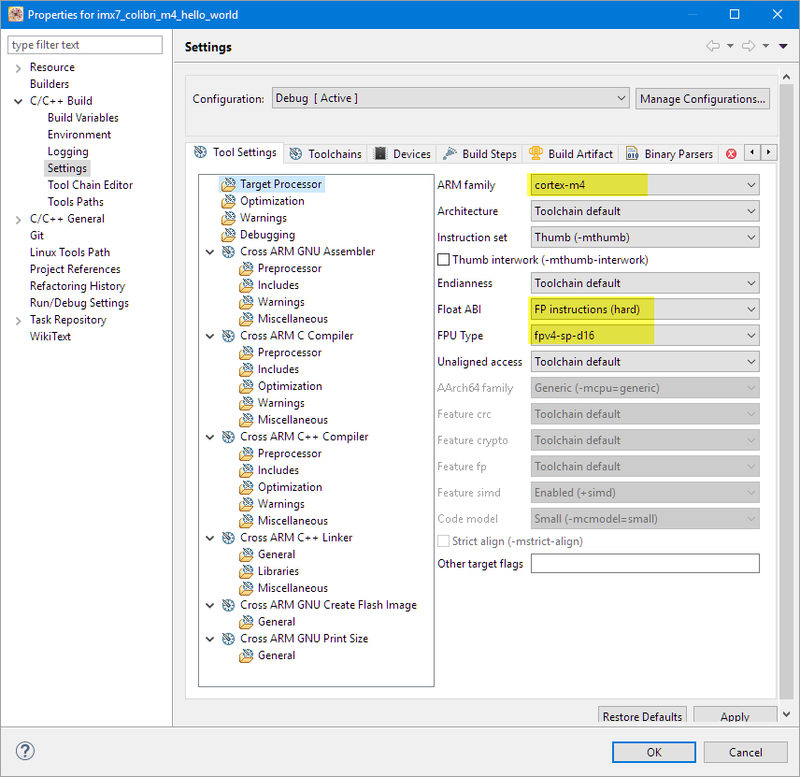 Add FreeRTOS and application files to the project. 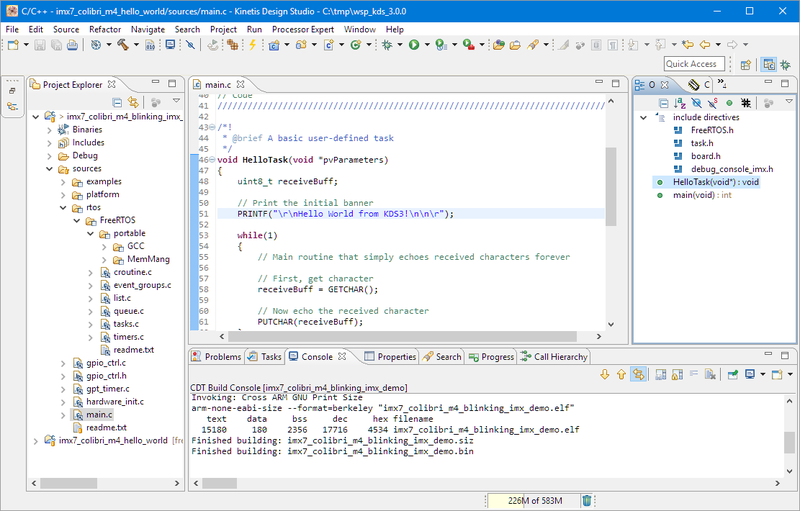 Below shows the files for the ‘hello world’ demo application, where I’m using Eclipse Virtual Groups and linked files. But of course you can copy the files too. For a ‘release’ build you can use __NDEBUG instead of __DEBUG. With u-boot we load a bin (binary) file. 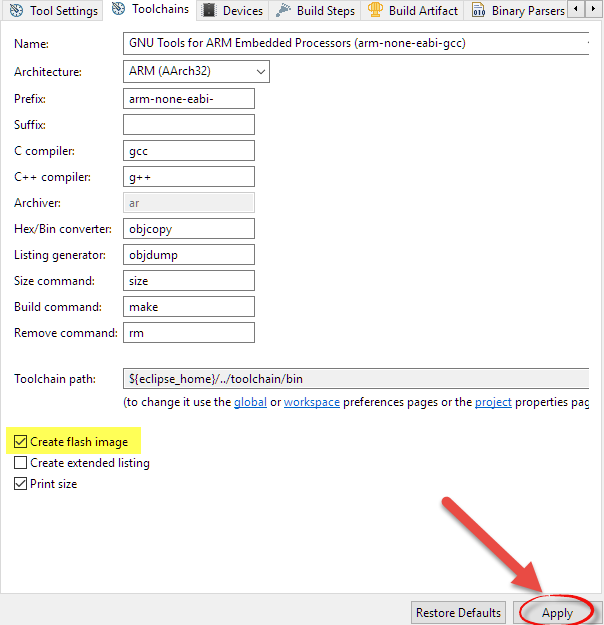 To create it, enable ‘Create Flash Image’ under the Toolchains tab. Press the ‘Apply’ button. Build it, and you should get the binary file you can load with u-boot (see Tutorial: Running FreeRTOS on NXP i.MX7Dual Cortex-M4F).